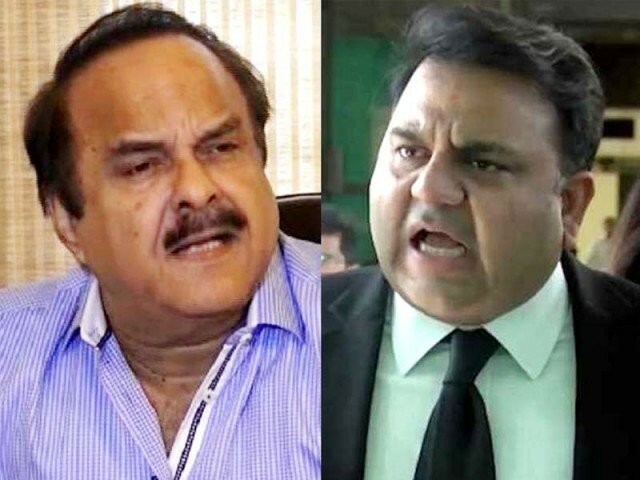 ISLAMABAD : Days after trading barbs on Twitter, Federal Minister for Information and Broadcasting Fawad Chaudhry and Prime Minister’s Special Assistant on Political Affairs Naeemul Haq engaged in a verbal spat again on Sunday, signalling an emerging rift within the ruling party’s ranks. 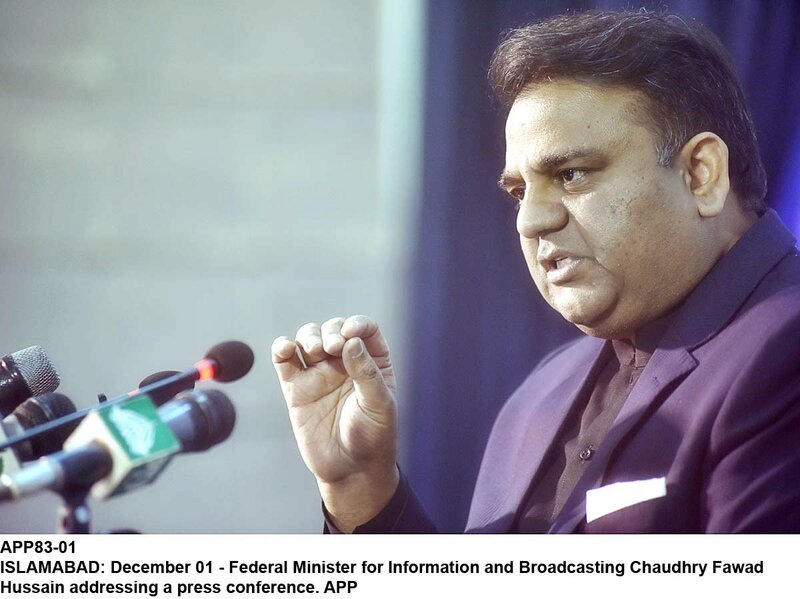 Speaking to the media in Jhelum, Chaudhry hit out at Haq, who had reportedly claimed that the former had sent his resignation to Prime Minister Imran Khan over his differences with the latter on appointment of state-run Pakistan Television’s new managing director. “I haven’t tendered resignation, but I do have differences regarding PTV MD,” he was quoted by Express News as saying. “I will meet the prime minister tomorrow (Monday) and will follow his instructions [on the matter],” he explained. Fawad Chaudhry said he was unable to contact the prime minister since yesterday as he was busy due to his brother’s wedding ceremony. “I don’t have political but personal relations with the prime minister,” he remarked, taking a dig at Haq. The information minister is reportedly unhappy with the appointment of PTV’s Managing Director Arshad Khan and wanted to replace him. Haq tweeted on Wednesday that Prime Minister Imran had full confidence in the management of PTV and wanted to turn it into an independent organisation like the BBC. 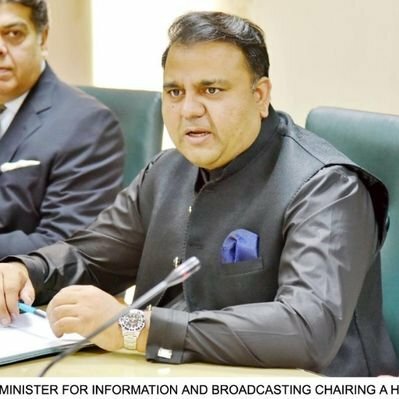 According to sources, the information minister had also written a letter to the PTV MD, expressing displeasure over his performance. On Friday, Chaudhry also ordered an inquiry regarding payment of a ‘huge sum of money’ from PTV’s bank account. Published in The Express Tribune, February 25th, 2019.